3 in 1 Combination Photometer. 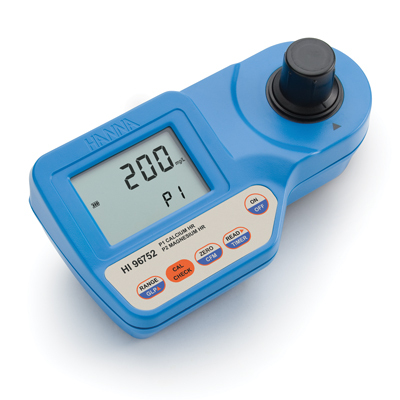 This latest laboratory grade Microprocessor photometer has an excellent repeatability and is ideal for field measurements. Chlorine is the most commonly used water disinfectant. Applications vary from treatment of drinking water and wastewater to pool and spa sanitization and food processing to sterilization. 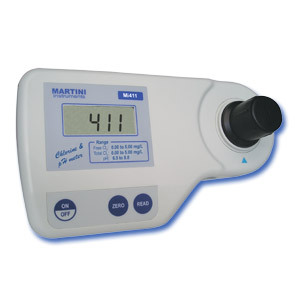 Martini Instruments has developed the Mi411, a portable microprocessor based instrument to measure three critical parameters to ensure good water quality: pH, free chlorine and total chlorine. This instrument provides greater resolution, better accuracy and immediate results.